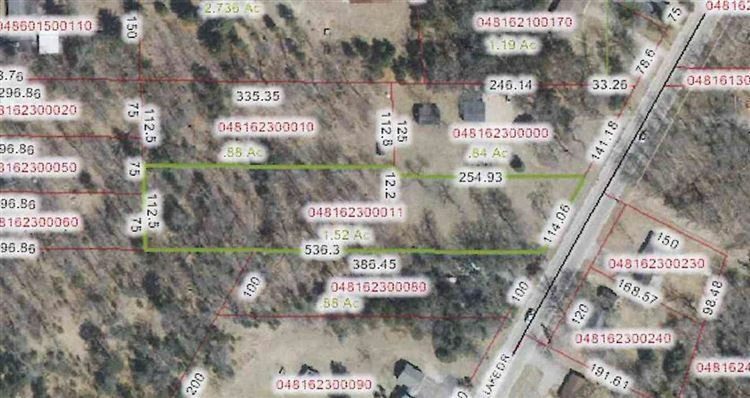 Residential 1.52 Acre Lot! Buildable, Electric and phone at the road. From Green Bay Street, north on Airport Road to north on Lake Drive to property on left.